HARRISBURG – An experienced health care management firm told members of the Senate Majority Policy Committee today that the state could see an 8 to 15 percent reduction in all medical costs through the use of new technology and evidence-based medicine. 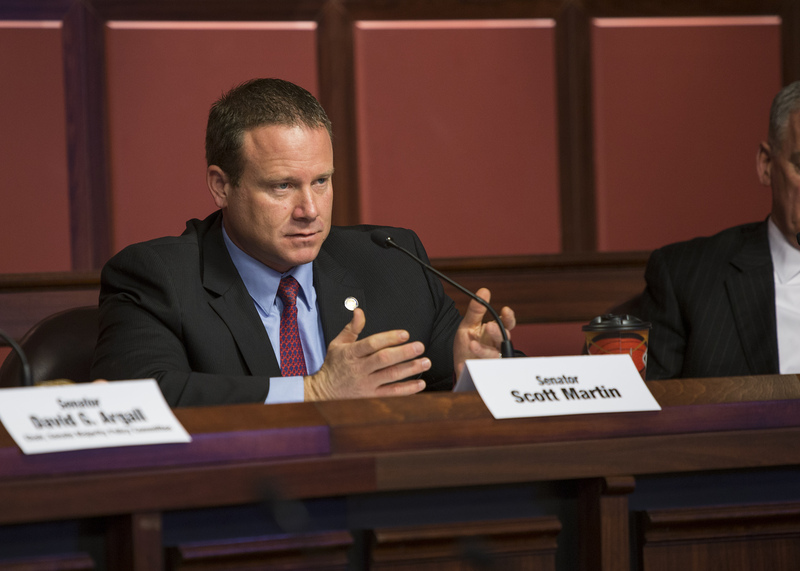 The hearing, which was held at the request of Senator Scott Martin (R-Lancaster) and hosted by Senate Majority Policy Committee Chairman David G. Argall (R-Schuylkill/Berks), focused on how a similar system could be applied to Pennsylvania’s healthcare market. Argall asked Hiller what Pennsylvania taxpayers could expect to save in General Fund savings if Pennsylvania were to adopt a similar system as what is in place in Alaska. “You would expect 8 to 15 percent drop in all medical costs,” Hiller replied. 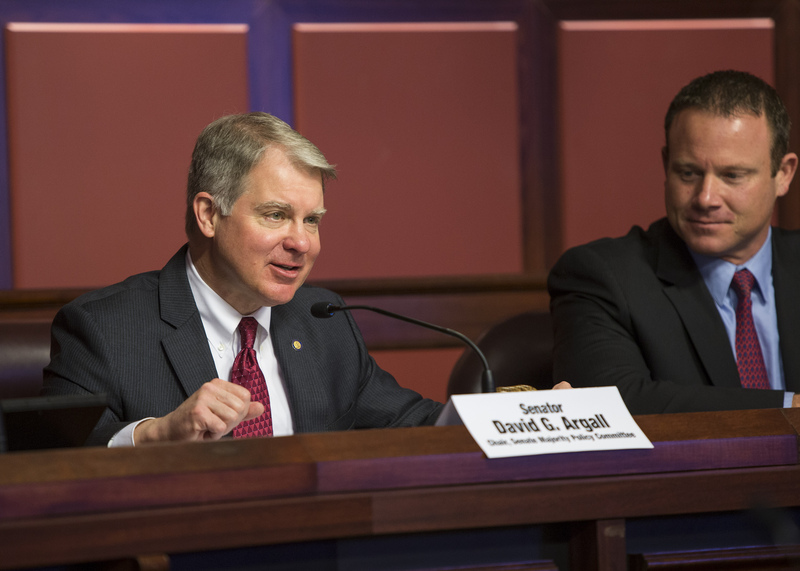 “We are talking about significant amounts of tax dollar savings, and an opportunity to improve health care for many Pennsylvanians,” Argall said. Senator Martin plans to introduce legislation that will direct the Pennsylvania Department of Human Services to issue a Request for Proposal to pave the way for a similar program to be implemented in Pennsylvania. More information, including the agenda, presentation and video of the hearing, is available here. Senators David G. Argall (R-Schuylkill/Berks) and Scott Martin (R-Lancaster) review testimony from MedExpert during a Senate Majority Policy Committee public hearing at the state Capitol on Tuesday. 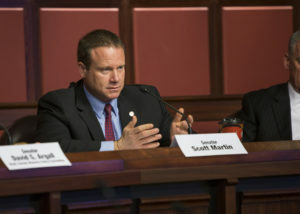 Senator Scott Martin (R-Lancaster) asks a question during Tuesday’s Senate Majority Policy Committee at the state Capitol.